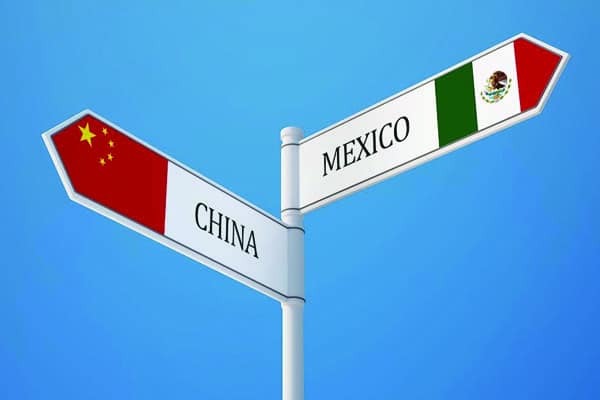 Are Us Manufacturers Leaving China for Mexico? When China joined the World Trade Organization (WTO) in 2001, US manufacturers flocked overseas to set up operations in the Asian country. Drastically reduced labor costs more than offset the cost of shipping their goods across the Pacific to US consumer markets. But that is changing. More and more US companies are reshoring their production this side of the Pacific. But they’re not all coming back to the US. In fact, many manufacturers leaving China are establishing production facilities just south of the border in Mexico. For decades, China has had much to offer US manufacturers. Fifteen years ago, everyone was in the mood to offshore to China. Chief of all cost-saving benefits offered by doing business in China was their extremely low labor cost. But in the past decade, China’s wages have rapidly increased along with increasing fuel and transportation costs for shipping freight back home to the US. And the mood among many US manufacturers is beginning to change. While China still makes sense for some companies, others are reshoring their operations. But some manufacturers leaving China are reshoring to Mexico rather than the US – something that has come to be known as nearshoring. The mood among many US manufacturing leaving China is that US wages are still too high and that nearby Mexico offers the perfect solution. The country has low wages, but is much closer to US markets than China. Chinese currency fluctuations have made revenue predictions difficult in recent years. When oil was $35 a barrel, transporting goods back and forth between China and the US was not a significant challenge. But in recent years, the price of oil has shifted dramatically. Currently, oil prices have come back down somewhat, but not enough for some manufacturers to justify doing business on the other side of the globe. Transportation costs are not the only consideration when choosing where to set up manufacturing operations. In Mexico, manufacturers find their goods can be positioned in key US markets within days via highway or rail. Executives experience less burnout managing facilities in the same time zones and a short plane trip away. While Chinese labor productivity is on the rise, the Boston Consulting Group predicts the cost of labor is rising faster. On the other hand, manufacturers leaving China have found Mexican labor costs remain low while productivity remains high. Tariffs: Mexico has a unique relationship with the US as a member of NAFTA. In addition to having free trade agreements with dozens of other countries, Mexico enjoys zero tariffs in most cases on imports and exports with the US. Reshoring is a new trend, but the surprising development is that US manufacturers leaving China are not all heading back home. Many of them have found Mexico offers the best of both worlds. In fact, according to one recent study, “Footprint 2020: Expansion and Optimization Approaches for U.S. Manufacturers,” more reshoring companies are establishing manufacturing operations in Mexico than the US.